As the campaign for a review of the National Health Insurance Scheme Act gathers momentum, Kebbi State Governor, Alhaji Atiku Bagudu, has called for the coverage of cancer treatment in the scheme. 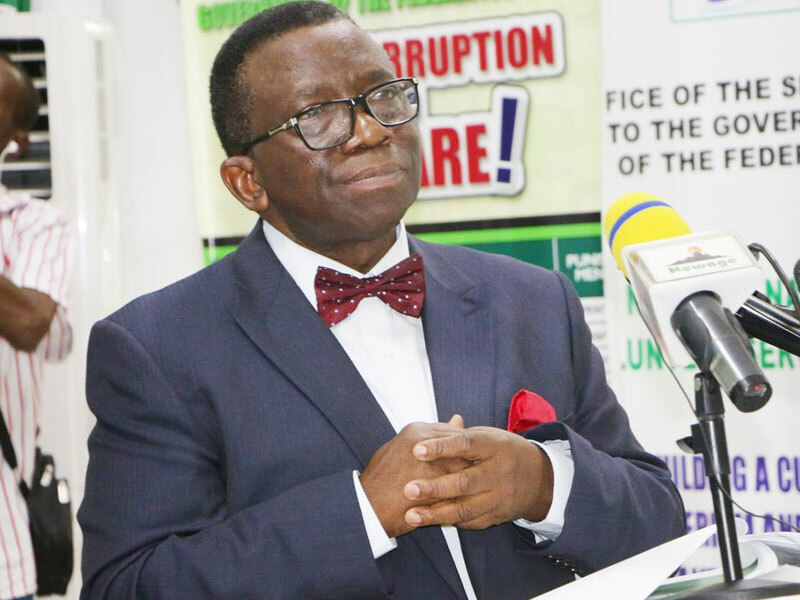 Likewise, the Minister of Health, Professor Isaac Adewole, who is leading the campaign for a review of the NHIS Act said 40 percent of cancer cases could be treated if detected early, noting that cancer was not a death sentence. The duo spoke in Abuja at a cancer awareness event organised by the Medicaid Cancer Foundation headed by Dr Zainab Shinkafi Bagudu. The governor said pressure was being mounted on government to include coverage of cancer treatment in the NHIS in order to ameliorate the plight of cancer patients in addition to advocacy for early detection and treatment. “A lot of investment is going into cancer advocacy and awareness in the country as the minister itemised. We are moving to stages where the public awareness is so great that pressure is building up to ensure that cancer is included in the National Health Insurance coverage and will go a long way to help. “We are also increasing awareness in such a way that primary healthcare centres are able to help and are able to provide centres of mobilisation so that most be can participate, diagnose early, be part of advocacy and indeed support the treatment of cancer”, he said. In his remarks, Adewole said 40 percent of cancer cases “can be detected, prevented and cured. With respect to what Medicaid is doing I think we should use this opportunity to educate Nigerians that cancer is not a death sentence. “40 percent of cancers can be prevented, 40 percent can be detected early and cured, and 20 percent will require palliative care but the problem in Nigeria is that 80 percent of our cancers come late and 80 percent die within five years. “But we can change this terrible narrative about cancer in Nigeria. That is why it is important so that we don’t lose ten people to cancer every hour in Nigeria. It is estimated that ten people die from cancer every hour in Nigeria. And we can prevent this by working together, stopping smoking, stopping or slightly reducing alcohol intake. “We can do this by changing our lifestyle, don’t over expose yourself to sunlight by eating well, exercising enough and getting preventive vaccine for some of the cancers we can virtually do away with cancer. “The message now is that we can prevent cancer. I will prevent cancer, and as a clinician I will continue to encourage early detection and treatment of cancer, working together we can do it and we will do it,” he said.